And if truth be told, stress fractures have always been on the top of my list of deep, gut-wrenching running injury fears. Having a stress fracture means time off the running track—lasting from anywhere from a month, to even longer. For that reason, this condition can really compromise months of hard effort and discipline. Today, dear reader, I decided to share with you my comprehensive guide to treating and preventing stress fractures. 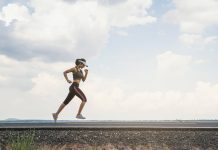 Inside of this post, I’ll provide you with a full overview of this condition, along with the exact treatment and preventative measures you need to take in order to fend off stress fractures. I hope you are sitting comfortably because we are about to set this thing in motion. First things first, what is a stress fracture? Also known as a hairline fracture, a stress fracture is, basically, a tiny crack or break in the bone. The condition is the result of accumulated trauma from repetitive submaximal loading. That’s why stress fractures are pretty common among runners, a sport notoriously known for it repetitive high impact nature. Not only that, athletes who participate in high-impact sports, such as basketball, football, soccer, and the sort, are also susceptible to the onset of a stress fracture. So, if you are a runner with a bad history of this condition, then do not feel alone. According to medical surveys, stress fractures account for roughly 10 percent of all sports injuries. In fact, this condition might account for up to 20 percent of running sports injuries. That’s quite a lot. In essence, stress fractures are the by-product of a gradual buildup of sub-maximal loading, resulting in injuries to the bone. In other words, they develop slowly over an extended period of time. On the other hand, a typical fracture is usually the result of a one high-force traumatic event, like a road traffic accident or a fall from a great height. A stress fracture can pretty much develop in any bone, but as a runner, you are more likely to get the condition in the weight bearing bones. As a general estimate, more than half of all stress fractures occurs in the lower leg bones. The most affected area is the lower leg in the shin bone (the tibia), followed by the foot bone, or what’s known as the metatarsals, the bones of the instep. In fact, according to surveys, roughly 25 percent of all stress fractures occur in the metatarsal bones of the feet, usually taking place in the second and third metatarsal in the foot. The navicular, a boat-shaped bone on the top of the midfoot, specifically in the ankle between the talus and the cuneiform bones. The bigger bones in your pelvis, hips, and femur are also prone to stress fractures, but these happen on rare occasions—especially among runners. The primary cause of the condition is, of course, overuse. For the most part, stress fractures usually happen when a runner has increased the volume and/or intensity of their training over a relatively short period of time. That’s the classical too much too soon mistake. And we are all guilty of doing that at one point or the other. If you are a first-time runner. This is especially the case if you do too much too soon without giving your body enough time to readjust to the new training load. Yes, I do sound like a broken record but this is something worth repeating. If you are running in improper and/or worn out shoes that provide your feet with little or no shock-absorbing ability. If you are a female runner. In fact, research shows that female athletes are more likely to develop stress fracture than male athletes. 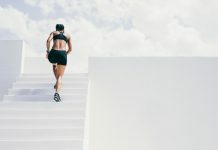 One of the main culprits is the so-called “female athlete triad” which is mix eating disorders, bone density issues, and menstrual dysfunction. If you have any bone insufficiencies. Another measure cause of stress fractures can be blamed on conditions that reduce bone strength and density. Osteoporosis is a perfect example. Also, research shows that stress fractures are more common in the winter than any other season of the year. Why? It’s been linked to a deficiency in the Vitamin D.
Foot Abnormalities. Research shows that runners with anatomical foot abnormalities, such as fallen arches are at a higher risk of developing stress fractures than neutral arch runners. If you have tight calves. According to research, stress fractures in the lower limbs can be caused by calf tightness. In fact, if you have tight calves, you are roughly 5 times more likely to sustain a metatarsal stress fracture, according to a study published din the Journal of Orthopedic and Sports Physical Therapy. The tell-tale sign of a stress fracture is a sharp pain in the foot or ankle. The condition is usually characterized by a dull pain around the affected area of the fracture. This pain usually develops slowly and worsens during running or while doing any weight-bearing activity. In fact, if you experience any bony tenderness that intensifies while doing any weight-bearing exercises, such as running, but diminishes during rest, you might be witnessing the onset of a stress fracture. Also, in most cases, the affected area might be tender to touch. Expect some possible bruising as well at the site of the fracture. What should you do in case you have a stress fracture? As I always say in my other running injury articles, your first line of defense against a stress fracture is the R.I.C.E method. Allow your affected bones to heal completely following an injury. Also, during your recovery period, feel free to cross train, opting for exercises and activities with minimum impact. Some of the best options include aqua jogging, cycling, anytime gravity treadmill running, or yoga. But avoid all sorts of weight-bearing activity, such as running, jumping, intense weight lifting, right off the back. Next, apply ice immediately after the onset of pain to keep swelling down and ease tenderness. Use a frozen bag of beans or ice wrapped in a towel or cloth for 15 to 20 minutes at a time, at least three times a day. Just whatever you do, do not apply a source of cold directly on your skin. Furthermore, to reduce swelling and ease the pain, opt for compression by lightly wrapping the injured area in a soft bandage. Last but not least, rest your injured limb raised up higher than your chest level. This is what elevation is all about. What should you do if all of the above measures proved futile? Well, in such a case, you should see a sports medicine physical for a full assessment—especially if you believe that you have a severe case of a stress fracture in your ankle or foot. Postponing proper diagnosis can have some dire consequence. In fact, the bone might break completely in some cases. And you don’t want that happening to your precious running feet. First of all, expect to be X-rayed. But we wary. Though traditional X-rays usually come out looking healthy, they are often unable to spot a stress fracture—especially when the fracture is not completely through the bone. In that case, further testing is needed for a complete assessment. The best course of action is to go and see a sports-oriented physician for a thorough bone scan. The specialist will recommend a nuclear bone scan, an MRI or any other advanced imagining techniques to fully detect the condition. In most cases, your doctor will recommend taking a NSAID—Nonsteroidal anti-inflammatory drugs— such as Ibuprofen and Paracetamol to alleviate pain and reduce swelling. Not only that, and depending on the area and the severity of the stress fracture, your doctor might also recommend a splint, a cast, or protective footwear (such as a wooden-soled sandal or a stiff-soled shoe) to immobilize the injured limb. Also, they might also recommend that you use crutches to keep weight off the injured leg until the pain wanes. In extreme cases of the condition, surgical intervention might be required to fix the damage. This is especially the case when the fracture line has extended completely across the bone. This is done by inserting a type of fastening, known as internal fixation, to support the bones of injured area. The bones of the ankle and bones are usually held together using screws, pins, and plates during the recovery process. Fortunately, most stress fractures will heal given proper time and rest. The exact amount varies from one runner to the next. But as a general guideline, most mild cases typically take anything from 6 to 8 weeks to fully heal. With that said, severe cases of the condition can take much longer. Hopefully, you’ll never have to endure that. During the healing and recovery period, stop any activity that puts a lot of weight on the affected limb. Instead, feel free to cross train by doing plenty of low-impact exercises, such as spinning, swimming, aqua running, yoga, upper body strength training and the sort. Once you decide to take up running again, and I cannot emphasize this enough, you gonna have to follow the directions and guidelines of your doctor. Sorry, but the Internet cannot help you out on this one. Once your pain has subsided, pay your doctor another visit to confirm whether the stress fracture has fully healed or not yet. During this stage, usually lasting one week or a bit longer—avoid all sorts of weight bearing activities. In fact, if it’s hurting your injured limb, you shouldn’t be doing it. Do plenty of low-impact exercises, such as yoga and the sort. Expect to spend two to four weeks this stage—even much longer for serious cases of the condition. This is when you start slowly and gradually getting back to running. Once you are out of the door, start with very short sessions and keep listening to your body the entire time. Cut down, or stop, at the onset of the pain. Do not run through pain. Never. As I always say, prevention is better than cure. After all, you should be proactive about preventing overuse injuries—not just stress fractures. For more on that, check my full guide to injury prevention here. Your diet has a huge impact when it comes to speeding up recovery and preventing future re-injury. According to research, you should aim for at 1300 to 1600 mg of calcium. In case you believe you are not getting adequate amounts of calcium from your diet, then feel free to supplement using a daily 500-mg carbonate stuff. Once you have a stress fracture, you are at a higher risk of re-injury. That’s what they say that (bad) history is doomed to repeat itself. Therefore, please please, review and rethink your running habits. And do not repeat the same injury-causing scenarios. Take a thorough look at your training history and check for any sweeping changes in training volume and/or intensity in the past few months that could have led to the onset of the condition. Not only that, you might also need to consult a sports physician to check for any strength imbalances, flexibility issues, or biomechanical problems that might require fixing. When it comes to preventing overuse injury, I cannot emphasize the importance of strength training enough. In fact, as a runner, you HAVE to hit the weight room, maybe as often as you do the running track. By adding strength and power to the muscles of your legs, you’ll boost their shock absorption ability and prevent your muscles from getting tired too quickly, reducing the load on your bones in the process. In fact, strength training will only improve endurance and strength in your muscles; research also shows that resistance training can help you boost up your bone density—especially the type that comes with aging, along with a host of other health benefits. When it comes to preventing all sorts of overuse injuries, you should always run in the right shoes. So, please do your body and running routine a favor and invest in a good pair, based on comfort, fit, and functionality. My best recommendation is to go to a specialty running store to get fitted with the right pair according to your foot arch, gait type, fitness goals, personal preference, and budget. Also, make sure to replace your shoes every 400 to 600 miles to allow for proper mid-sole cushioning. This, of course, depends on many various factors, including training volume, your current weight, shoe durability, etc. In the end, and as I have already stated, stress fractures and most cases of overuse injuries for that matter are the results of doing too much too soon. Therefore, you gotta go slow homie. The slow start principle can be tough, but that’s something you just cannot ignore. In fact, you cannot afford to ignore it, buddy. The condition develops over many miles, and if you try to push the envelope a little bit too early and/or too far, you are risking another (painful) flare-up. As a rule of thumb, do not increase your training volume by more than 10 percent from one week to the next. Also, make sure to warm up and cool down for a few minutes before each running session. Further, schedule a downtime/recovery week into your training schedule. Most experts recommend taking a week completely off, or drastically reduce volume, every fourth or fifth week of intense training. In the end, your body knows better. You just have to listen to it and be willing to change your training approach accordingly. In fact, in my experience and humble opinion, this is the best way to prevent stress fractures (and all types of overuse injuries for that matter). Therefore, simply listen to your body and do not ignore signs of pain and discomfort. Pain is there for a reason you know. To warn you that you are doing something wrong, and might need to back off a bit and allow your body the ability to head itself properly.